Does your data cabling system still use copper wires? If so, then making the switch to fibre optic is likely a top priority, especially given the inevitable phasing out of copper phone and data cabling in Perth residential homes and commercial properties. If you’re in the midst of an upgrade or new construction in Perth, then NBN cabling will bring you faster, more reliable, and affordable Internet and phone service. Data services in and around Perth can be slow and unreliable due to the ageing copper network infrastructure. The NBN (National Broadband Network) is making a largescale improvement of this outdated infrastructure by installing fibre optic cabling throughout the area. Speed: Fibre optic cabling transmits data using light, which is dramatically faster than wires. Safety: Copper can heat up and cause a fire hazard, but fibre optics produce no heat. Further, our home data cabling services allow for the cables to be concentrated in one area of a residence or commercial building, reducing the number of wires. Reliability: Our new data cabling systems are less susceptible to weather conditions, power fluctuations, and other environmental factors. They’re also immune to other types of electrical interference such as radio frequencies. 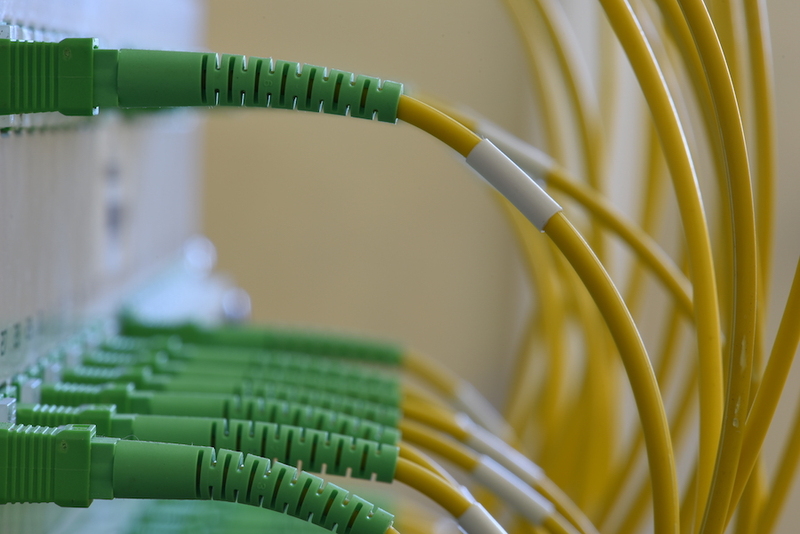 Cost: Using fibre optics for telephone and data cabling services provides long-term cost savings. Power bills are likely to drop due to this type of data cabling’s efficiencies. Plus, the increased speed and reduced downtime can save time and allow for smoother business operations. Time is money, and, if your infrastructure is outdated or your cabling hasn’t been installed properly, it could be costing your business more than you think. 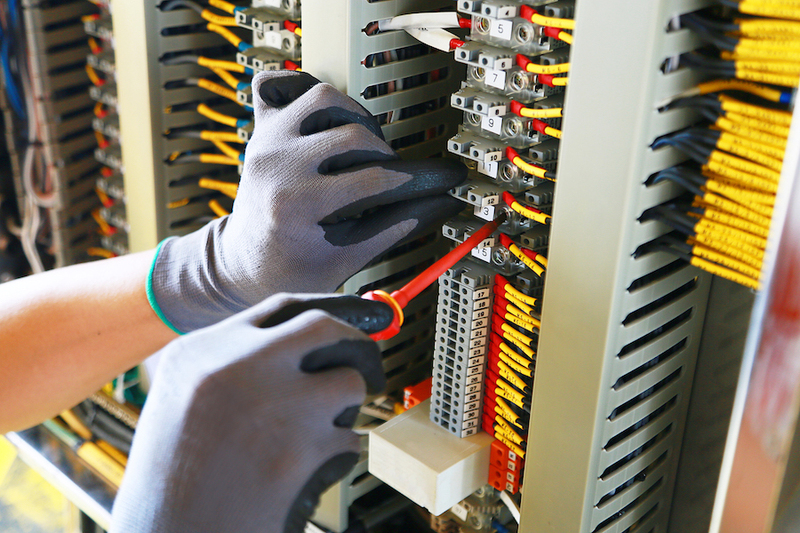 We are well-equipped to handle installation and repair in any setting, whether it’s a hospital, office building, school, government facility, remote location, or otherwise. In the day-to-day of operating a business, the IT infrastructure is often overlooked. As long as everything is running, even if it’s painfully slow, most companies assume its business and usual and make do with subpar speed and reliability. They might not even know that a poorly designed network or unprofessional installation is costing them both time and money by slowing down the speed and efficiency of their computers, equipment, and applications. When Richtek visits your location, our team of skilled contractors will work with you to design a network or improve your existing setup. Richtek will test its performance and provide you with a detailed report of our findings and recommendations for improvement. We use the latest and best equipment available on the market as well as premium and modern tools to make sure that your business stays on the cutting edge. You might not need a complete turn-key solution. Instead, you might be seeking a reliable source for your data cabling supplies in Perth, WA. We have an extensive catalogue, and we would be happy to provide you with whatever you need for your project. Most existing homes are equipped with outdated copper wiring. However, with the NBN rollout, soon every home in Perth will have access to top-speed access that rivals the best networks in the world. Richtek’s team of contractors can check your home to see if it’s ready for the upgrade. If so, we would equip your home with data cabling, data and telephone points, and all other hardware, including modems and switches. The resulting infrastructure allows for internet and phone services to be distributed throughout the whole house in a way that is faster and more reliable than ever before. We are a team of passionate electricians who love what we do. Our workmanship is guaranteed, and we are also equipped to provide same-day service. We’ll provide you with a competitive quote and personalized, friendly service. We pride ourselves on our punctuality too! If you are looking for a data cabling contractor in Perth, WA, Richtek Electrical & Air Solutions can help. We’ve been serving our community for more than 15 years. Contact us today for a free, no-obligation quote.